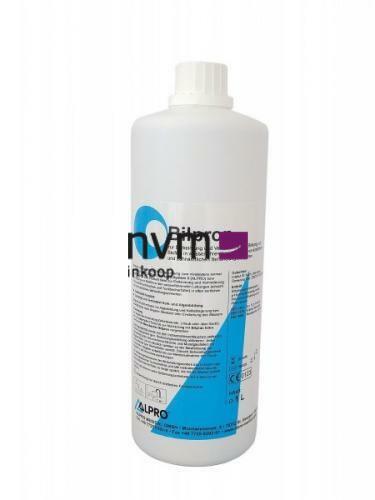 Liquid concentrate for decontamination and disinfection. For optimal hygiene of process water in dental unit water lines with and without dosing device. Alpron is a concentrated liquid for the continuous decontamination of process water in DUWL of dental treatment units (including the instrumentation and the tumbler filler). - Approved and recommended by notable dental unit manufacturers (amongst others Sirona M1).